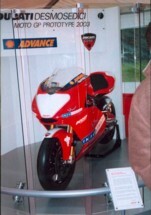 Click on pictures to enlarge in a new window. 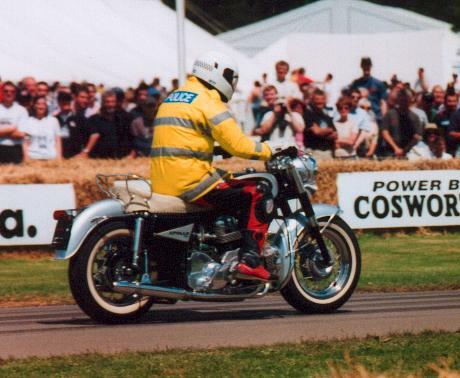 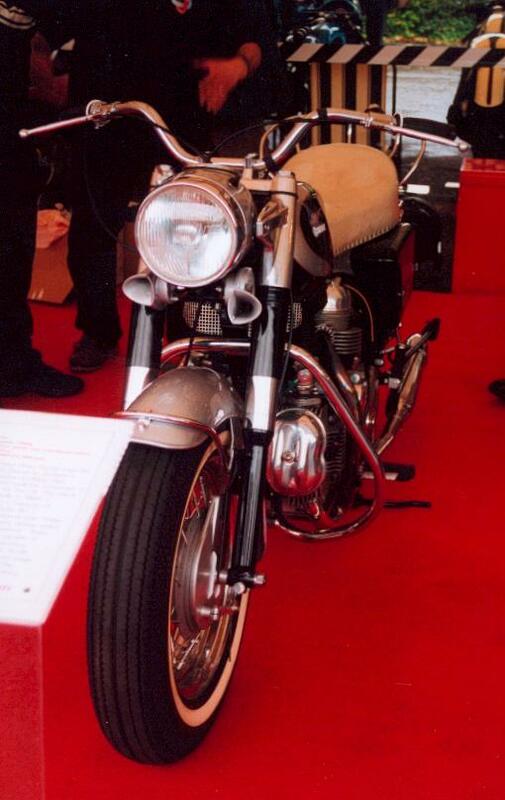 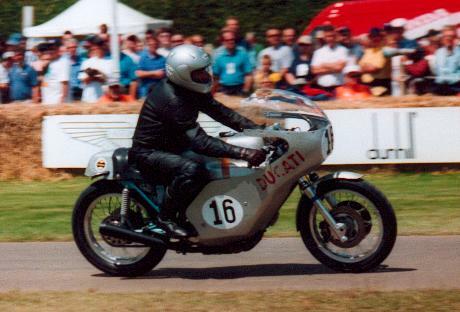 Sammy Miller was riding the Guzzi V8, it is on loan from the Guzzi Museum. 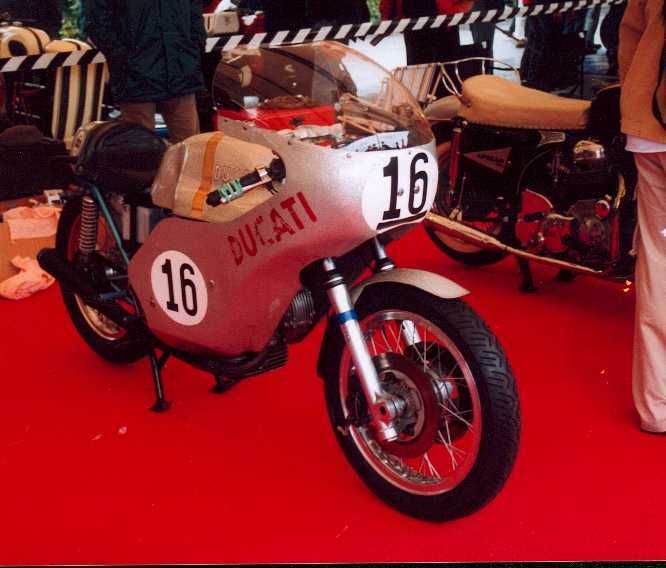 A 823k MP3 file of it being warmed through then ridden away in the paddock. 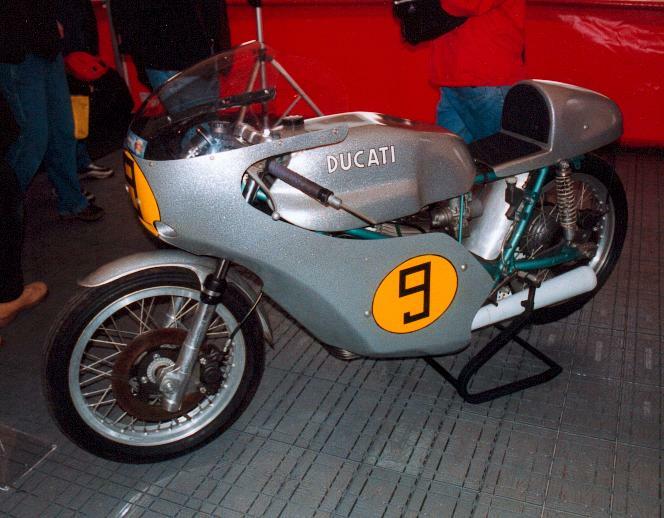 Paul Smart brought along his Imola 200 winning Ducati is in almost exactly the state it finished the race in apart from a little wear and tear. 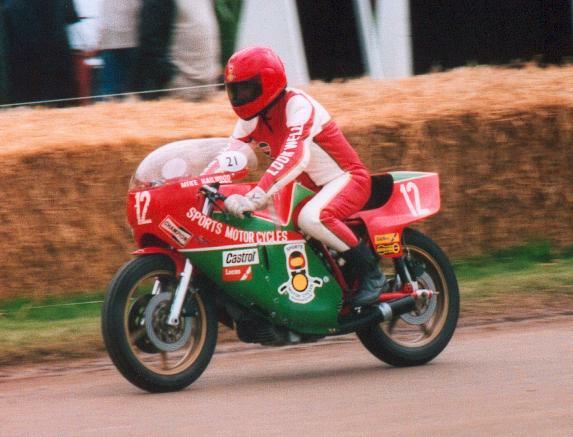 He didn't run it on the Friday and when I asked him if he would take it out on Saturday he pleaded old age for himself and the bike. 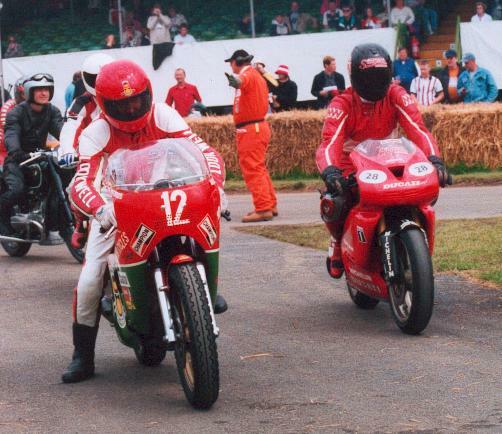 When the bikes came out on Saturday he was however amongst them. 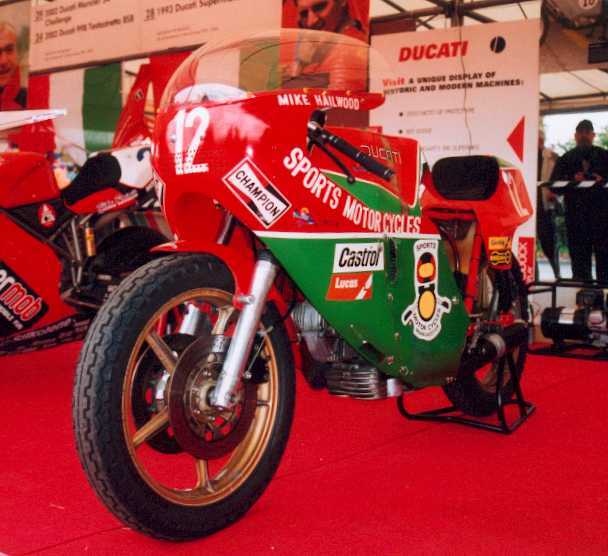 The Imola winning bike in the paddock, note the Apolloin the background. 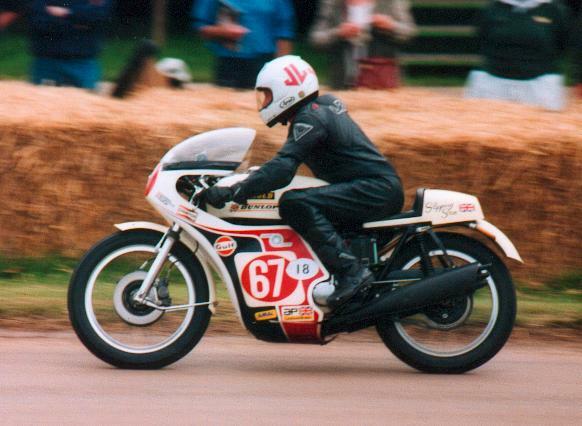 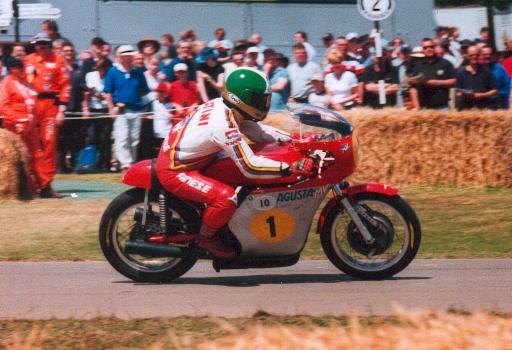 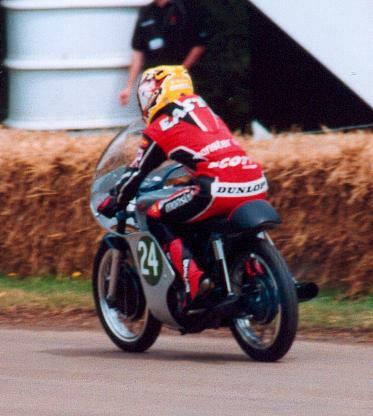 Steve Wynne brought his Hailwood NCR Ducati. 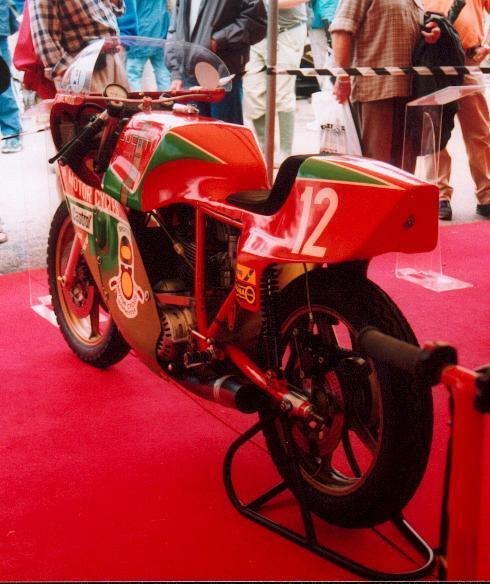 Steve prepared the bike onwhich Hailwood came back from retirement to win the 1978 Formula 1 TT. 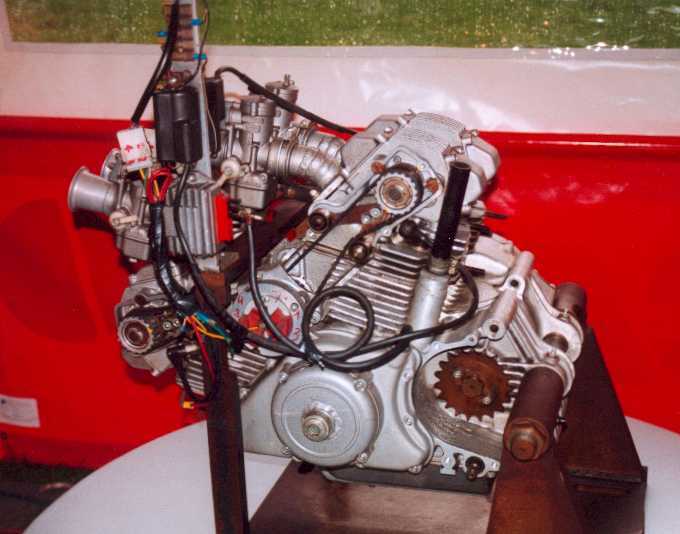 This V4 prototype was built as an attempt to capture some of the US police market at the request of the US importers Berliner. 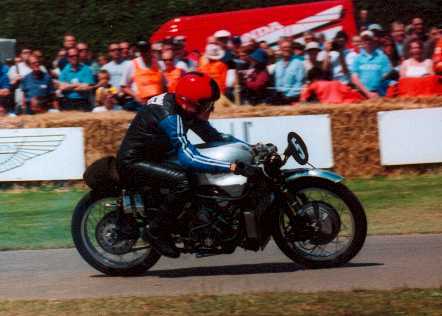 Going past on a display run riddenby Ian Kerr in police jacket and helmet. 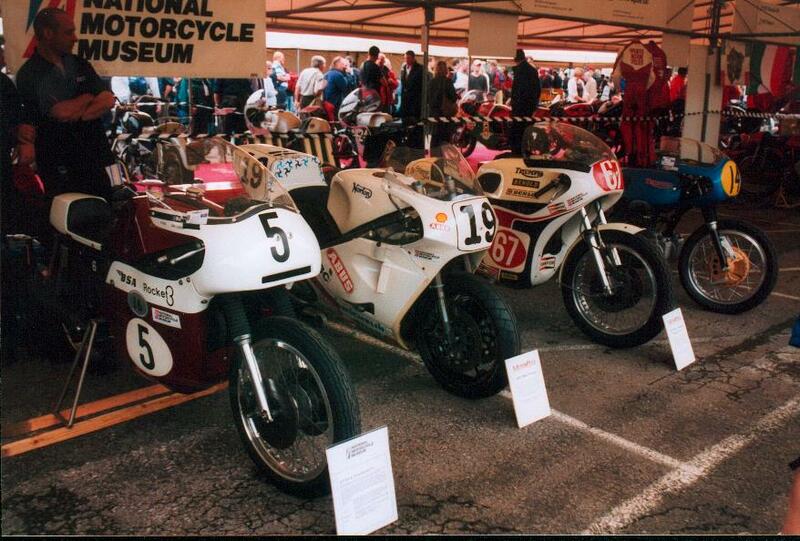 The NMM brought along some British racers. 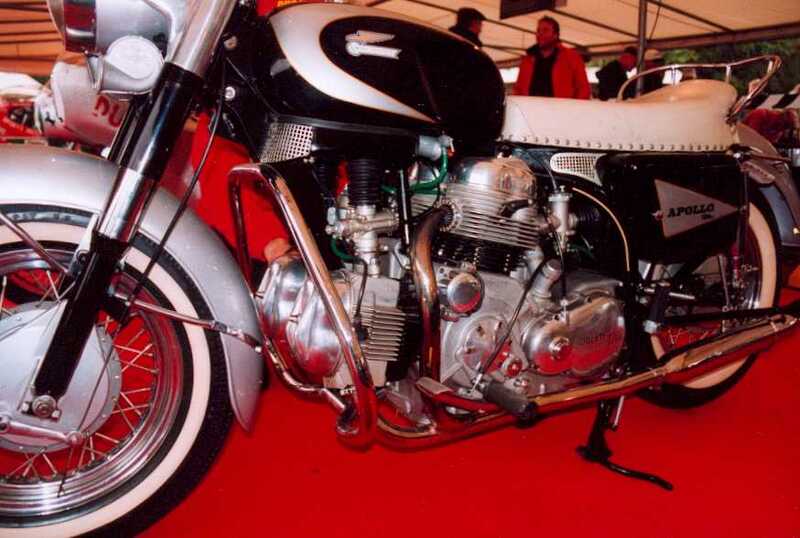 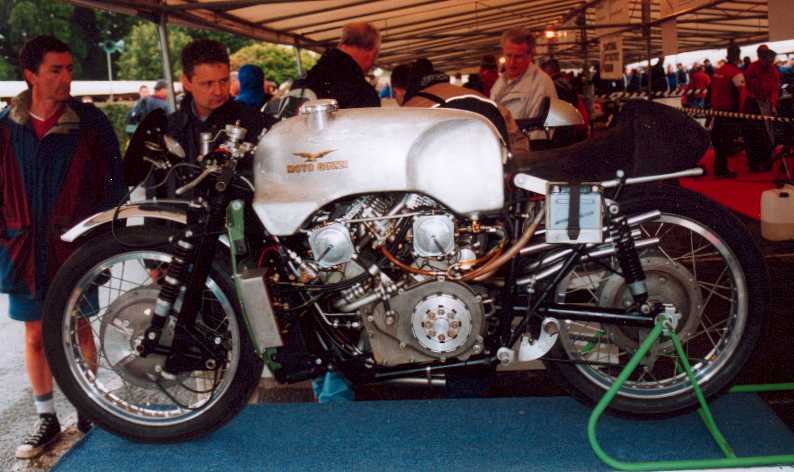 A rocket 3, Norton Rotary, Slippery Sam anda Daytona based GP racer. 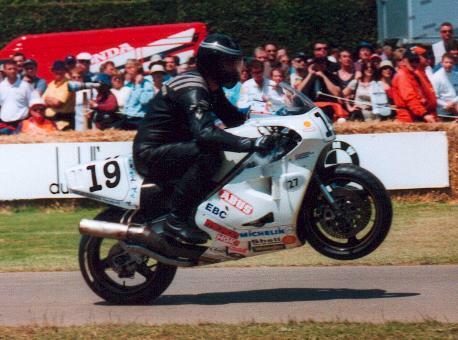 The 1991 Senior TT winning Norton NRS588 with TrevorNation on board.